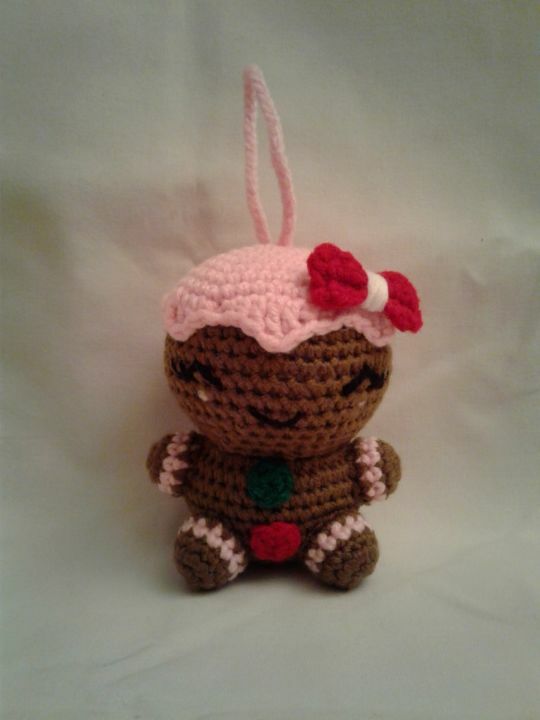 Meet CHERRY the GINGERBREAD GIRL. She is 4 1/2 inches. Ornament and Great holiday decoration! Pictures do not portray the vibrancy of the colors. Sometimes the picture colors may be off depending on the colors and flash etc.